You will have noticed that in recent weeks we have been without a bell. Sadly, the mechanism which holds and allows the clapper to ring the bell has perished, rusted away. The PCC has decided to look at alternatives to having the clapper repaired and has asked Smith of Derby to quote for what is described as a two-speaker electronic system. Whilst to the purist this may sound absolutely awful and totally unpalatable, there are advantages to having an electronic system. The electronic system can be programmed to ring The Angelus at 12 noon and 6:00 pm (It will also ring it at 6:00 am but we are considerate to our neighbours! ), and at Eastertide, it will ring the Regina Coeli. This is only a part of what the system can do; it can also be programmed to ring hymn/carol tunes; wedding peals; service tolls (the 5-minute bell); funeral slow toll (also for Remembrance Sunday). This is an invaluable part of funding the life of our Church and costs from just £1 a week with £10 prizes on a weekly basis and at the moment up to £60 once a month. Are you part of it? If not please talk to Jane Blair. AND are your subscriptions up to date? Again talk to Jane. We need to increase our numbers for this – invite your friends and neighbours to join. The cake stall is held on the first Sunday of each month after Mass. 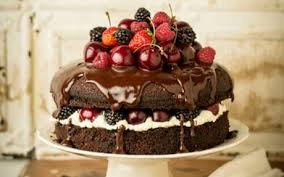 Bring cakes to sell or come and buy the wonderful cakes. Birthday cards, other cards and various other stationery items are on sale at a fraction of the prices in the shops, all money goes to support St Barnabas Church. We collect staple food items and toiletries for this worthy charity. The Clock Tower Sanctuary is the only drop-in service providing all-round information, advice and support to homeless young people (aged 16-25) in Brighton & Hove. Our centre is open 6 days a week. 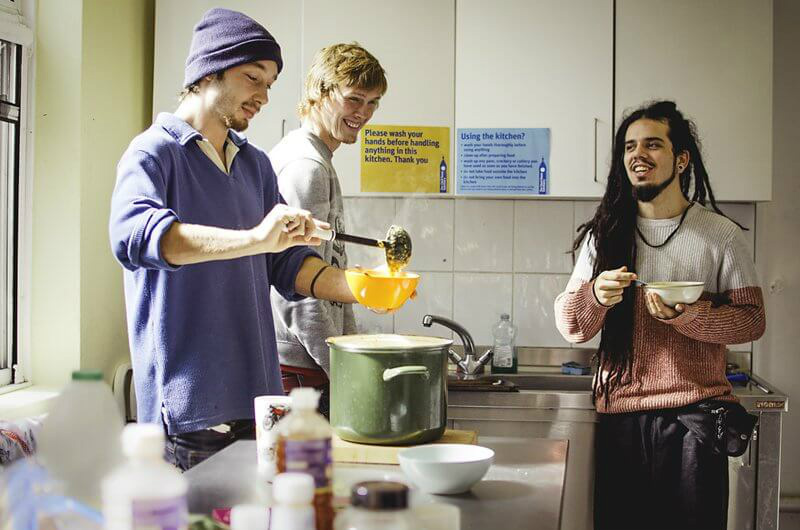 We provide a friendly, bright, centrally-located, safe space for young people to engage with their peers and other visiting agencies – without the worry of having to share a service with older people who can be intimidating. Rosie does various activities to support the Family Support Work, there are various fundraising events throughout the year and posters will be published. 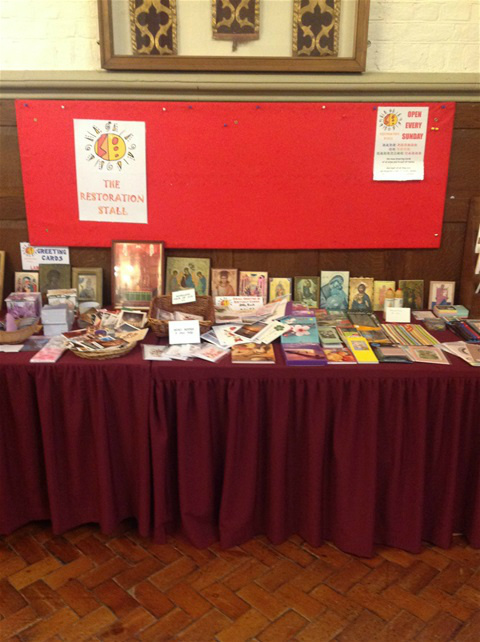 We also have a table in Church with lots of information, and occasionally items to buy.